Who needs a new PC case for 2018? Well, those who piece together custom desktops will obviously need cases for them. The case is an important consideration when putting together a PC as it will determine how much space there is for the components. Desktop cases come in different shapes and sizes as there are full-tower, mid-tower and mini-tower (or mini-ITX) categories. The best PC cases have appealing designs, include a variety of external connection ports and incorporate numerous expansion slots. We look mostly into mid-tower pc cases with room for fans and additional drives, providing the best airflow for your build. 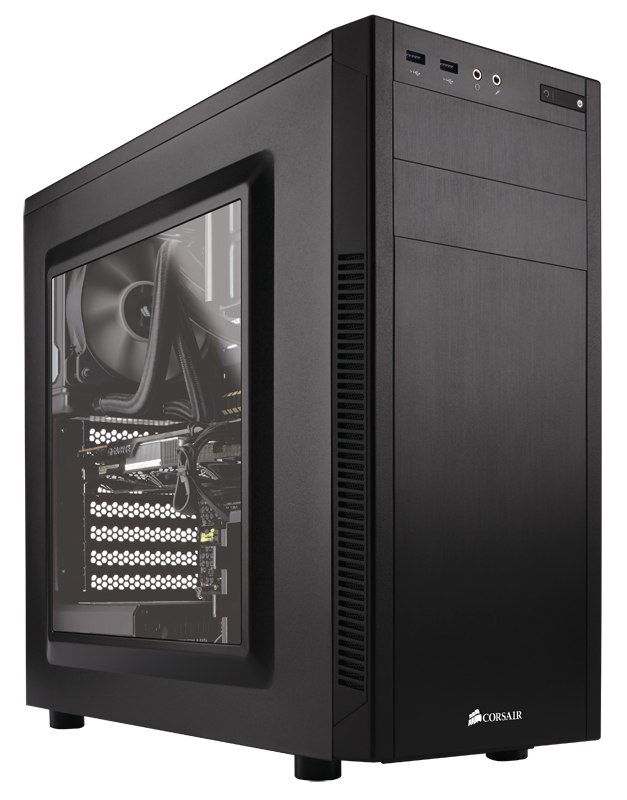 The Crystal 460 X is a mid-tower case that can fit an E-ATX motherboard with ease. This is a case with an appealing two-panel tempered glass design, and unlike a lot of cases the 460 X has a steel exterior. The most innovative addition to the 460 X is the RGB fans at the front that give the desktop some dazzling lighting effects. Even though it has relatively compact dimensions, this case is spacious enough to accommodate expansive graphics cards (up to 370 mm) and cooling radiators. Overall, this is a case with a great design that will give your desktop a little extra sparkle. The Enthoo Pro M Glass is another mid-tower case with a transparent tempered glass panel on its side that gives the case a little extra gloss. The front of the case also includes a front velt with a dust filter behind it. This is a slightly more expansive case than the Crystal 460 X that can fit a 420 mm graphics card and a 264 mm E-ATX motherboard. The case includes two 3.5 bays, one 2.5 bay and a couple of 140 mm fans. The Pro M Glass also has plenty of routing holes for cable routing. As it is retailing around $99, the Enthoo Pro M Glass is one of the best value cases for 2018. The Carbide Series 100R is a versatile case with an elegant design. The case incorporates a flush-mounted window on the side that gives it some transparency. The 100R supports ATX, Mini-ITX and MicroATX motherboards and can fit expansive 414 mm graphics cards. The Carbide Series 100R has thumbscrew side panels so that you can easily open it without any extra tools, and it also includes cable routing channels for straightforward cable organization. Plus the 100R is retailing at just $49.99, which is a great value. 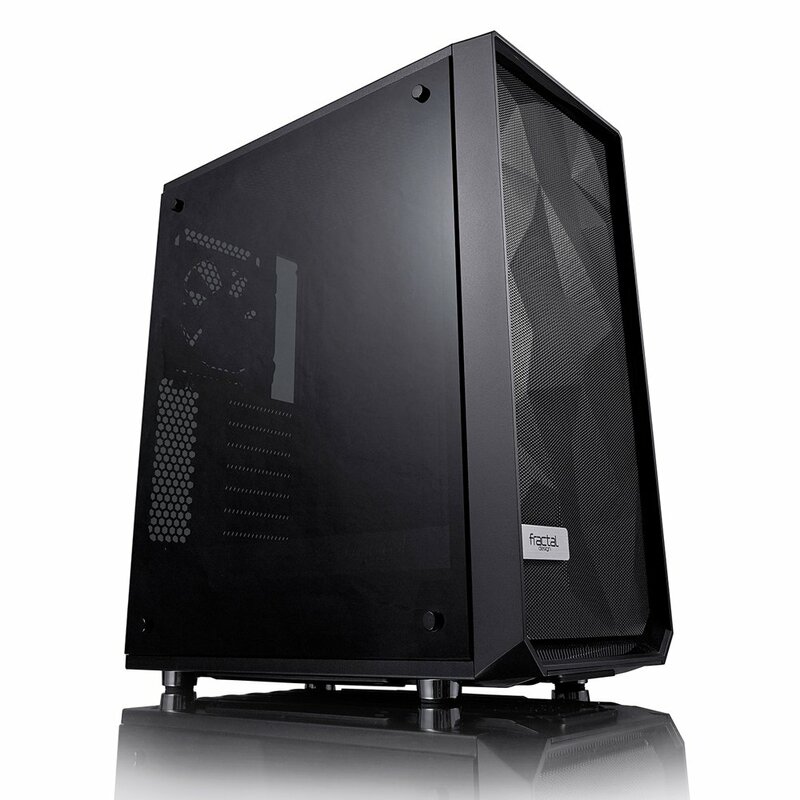 [Update] Corsair Carbide 100R is the #1 best seller in PC cases at the moment. We’d also like to mention the new released CORSAIR CARBIDE SPEC-06 RGB. It comes with a beautiful design and more room for versatile cooling options and additional drives. The InWin 805 is a fully transparent mid-tower desktop case with a stunning design. The case also has a quality brushed aluminum build for its top and front panels. Furthermore, there are three alternative color schemes for the In Win 805’s front panel and LED In Win logo that illuminates the side of the case. Aside from its great design, the In Win 805 includes four USB slots, which is more than many alternative cases. The Win 805 Type-C model includes one super speed transmission USB 3.1 slot. The case supports ATX, Mini-ITX and Micro-ITX motherboards, is compatible with 320 mm high-end graphics cards and can also incorporate two liquid-cooling radiators at the front and back. 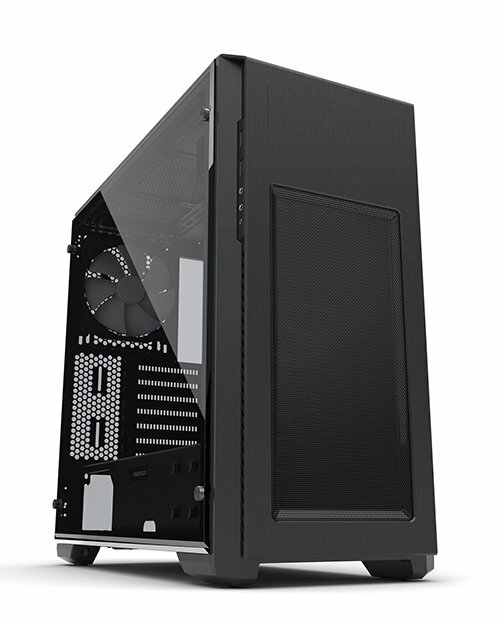 If you need a really expansive case, the Cooler Master Cosmos C700P is the one to go for. This behemoth of a case includes eight expansion ports, support up to nine 2.5/3.5 drive bays, can fit a 420 mm liquid-cooling radiator at the front and accommodate 490 mm graphics cards without a 3.5 HDD cage. There are four USB 3.0 and one USB 3.1 port on the C700P’s front I/O panel. The Master Cosmos C700P also has a glossy and flexible case design. The C700P’s most notable design novelty is RGB lighting control that illuminates the top and bottom of the case with four alternative lighting modes. The case includes two panoramic tempered glass panels on its sides. Aluminum handles are a handy addition to the C700P. As it has a frame design, this is also a flexible case that enables alternative layouts and one that you can fully dissemble. 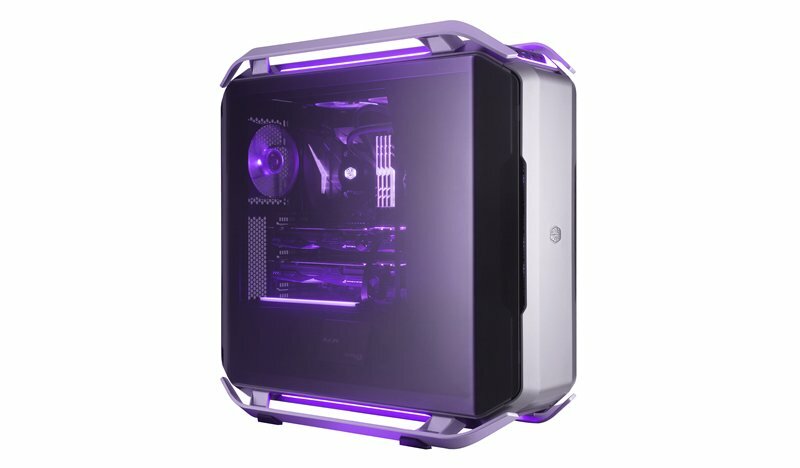 The Fractal Design Meshify-C is a new mid-tower case with a unique aesthetic design. 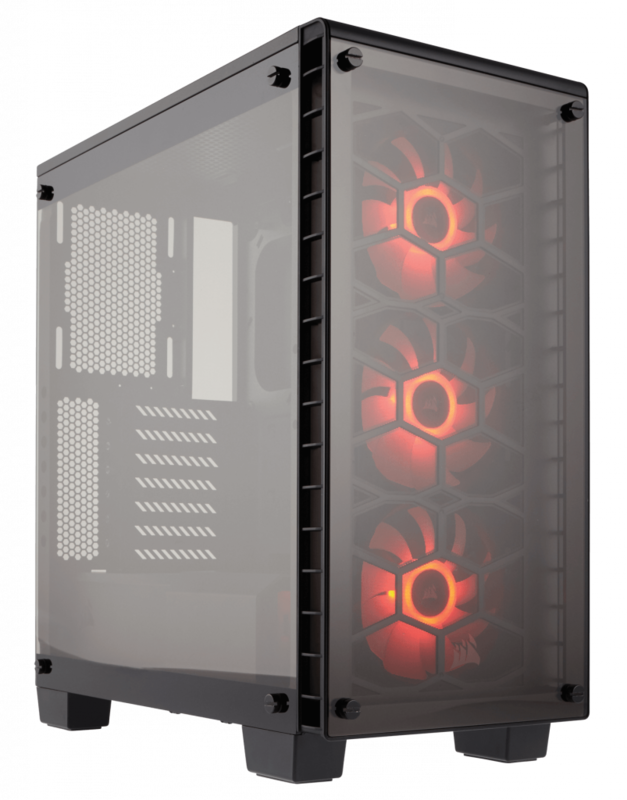 The case has a polygonal mesh front panel that has also been added to enhance its airflow. 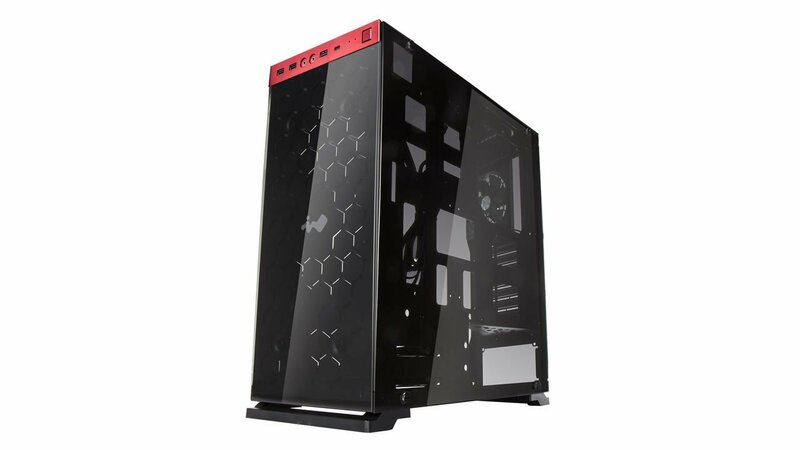 The Meshify-C also incorporates the tempered glass side panels that are becoming increasingly prevalent on cases. The case already includes a couple of pre-installed fans, and you can add five more. With flexible storage options, good cable management and efficient SSD mounting plate to boot, the Design Meshify-C is among the best mid-tower cases. Those are six of the best PC cases to build your own desktop in 2018. The selected cases are primarily mid-towers for ATX motherboards that are ideal for gaming rigs. If you need a more compact and portable mini-ITX case, the Micro ATX Mini Tower, NZXT Manta and Define Nano S are also worth noting. Find out more options online and drop us a line in the comments about your choice. Editor’s Note: This post was originally published in January 2018 and has been updated with new products so our users would have a wider range of alternatives.